Horses and dogs respond well to acupuncture, which can help enhance performance, prevent disease and assist with a wide range of conditions. Musculoskeletal diseases, soft-tissue injuries, eye problems and laminitis are some of the conditions that can be assisted. Acupuncture has been applied as a therapeutic medical technique for thousands of years, and domestic animals have been treated in China for almost as long as people. The World Health Organisation has stated that acupuncture has been widely recognised as a valuable means of health care, with scientific and empirical evidence supporting its use for specific conditions. For example, the effectiveness of acupuncture in relieving pain has been demonstrated in numerous clinical trials and laboratory experiments. Acupuncture is offered in 90% of pain clinics in the UK and 70% in Germany. With animals, acupuncture is commonly used for the relief of musculoskeletal pain. It is also valuable as a preventative treatment for performance horses. These athletes are often prone to minor stresses and strains which, if untreated, can result in the horse altering its way of moving. This can then make the horse more susceptible to serious injury. 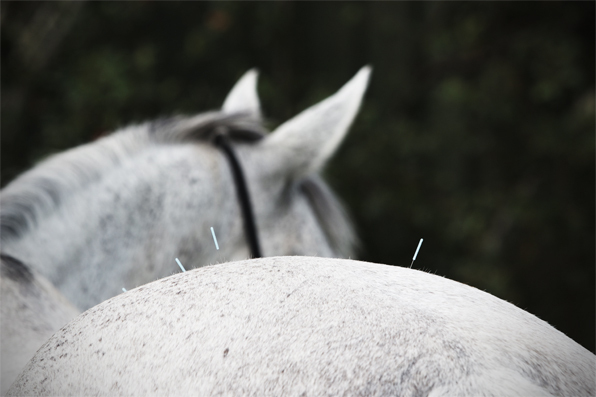 By resolving minor imbalances before they progress to major physical symptoms, acupuncture can help keep performance horses working at their best.